Organization grants are designed to assist nonprofit organizations, with operating budgets under $500,000, with building capability initiatives or cultural equity projects that ultimately benefit the Richmond and Tri-Cities region. Recipients of organization grants through the 2018 Annual Cycle. 1708 Gallery's mission is to present exceptional new art and is committed to providing opportunities for artistic innovation for emerging and established artists and to expanding the understanding and appreciation of new art for the public. Learn more here. Their Building Capabilities grant supports communication plans for the gallery's 40th Anniversary. Afrikana is a film festival dedicated to showcasing the cinematic works of people of color from around the world. We place a special focus on the global Black narrative. Our mission is to present high-quality, well-crafted stories that celebrate the diaspora and encourage people to connect. The 2018 Festival runs September 13 - 16. Learn more here. Their Cultural Equity grant supports youth programming for the third annual festival in September. Art for The Journey’s mission is to overcome barriers and transform lives through creating art, with a special focus on those who do not normally have access to such experiences. Learn more here. Their Building Capabilities grant supports the Opening Minds Through Art program. 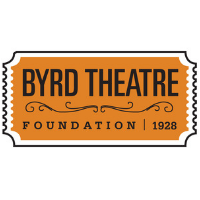 The Foundation, owner of the historic Byrd Theatre, works to expand the big screen experience, celebrate the art of cinema and preserve Virginia’s motion picture palace, with a vision to elevate the Byrd’s landmark position among American theaters as a center for film that continues to provide the broadest possible public access to exceptional cinematic experiences. Learn more here. Their Building Capabilities grant supports the expansion of marketing efforts. Firehouse Theatre is an artistic home, a thriving hub of creative activity, and a center for community engagement where new performance work is developed and produced. Learn more here. Their Building Capabilities grant supports the FORUM Community Engagement program. Groundwork RVA works with Richmond youth to facilitate environmental, economic, and social well-being in neighborhoods through the transformation of blighted and neglected open spaces into public assets. Learn more here. Their Cultural Equity grant supports Green Team activities associated with Gabriel Week September 2018. The Latin Ballet of Virginia is a professional dance company and school of dance, providing multicultural dance programs, instruction and performances. They are Central Virginia’s preeminent Hispanic dance company, performing throughout the State and at select venues in North and South America. Learn more here. Their Cultural Equity grant supports a Turnaround Arts:Richmond program, exploring Latin American culture through dance. 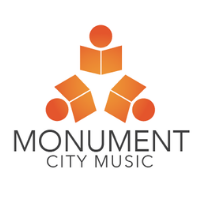 Monument City Music leads welcoming choruses in creating a more inspired, hopeful, and unified Richmond through song. Offering central Virginia three talented ensembles The Richmond Men’s Chorus, The Richmond Women’s Chorus and our LGBTQ focused A cappella chorus The Noteables. Learn more here. Their Building Capabilities grant supports the new Chorus Manager position. Oakwood Arts, is a community center, with a mission to make careers in creative industries accessible to all through community engagement, inspiring programming, and experiential education. They serve as an inclusive space in a rapidly-changing neighborhood for economically and culturally diverse Richmonders to gather, interact, and learn from one another. Learn more here. Their Cultural Equity grant supports the East End Quilt Collective project. The Podium Foundation gives Richmond middle and high school youth the opportunity to explore their passion for the literary arts while improving upon essential writing and communication skills. They provide writing workshops for students that encourage creative expression while developing essential writing and communication skills. Learn more here. Their Cultural Equity grant supports a Regional Family Writing Program. The Poe Museum began over a century ago when Edgar Allan Poe collector and researcher James Howard Whitty and a group of literary enthusiasts met in Poe’s hometown to create the state’s first monument to a writer. The Museum celebrates the life and influence of Poe and the Museum’s collection is the most comprehensive in the world, with programs reaching thousands annually. Learn more here. Their Building Capabilities grant supports the Storytellers Channel Audio Project. 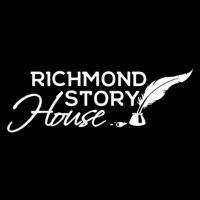 The Richmond Story House is all about people sharing stories. They run workshops that help participants frame their personal narrative and experiences in new ways and prioritize underserved parts of the community through mobile workshops, and in-house workshops open to all. Learn more here. Their Cultural Equity grant supports the Jail Story-Sharing Class and Pen Pal Program. 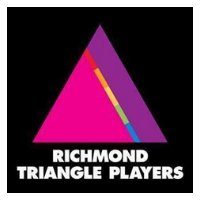 Richmond Triangle Players delivers adventurous and entertaining theater as the leading voice in the community’s explorations of equality, identity, affection and family, across sexual orientation and the gender spectrum. Learn more here. Their Building Capabilities grant supports a new Community Engagement position. 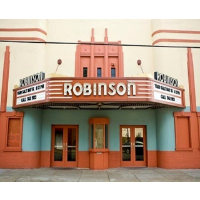 Robinson Theater Community Arts Center is a multi-purpose facility that exists to inspire, encourage, and restore healthy community life to the residents of North Church Hill, primarily through arts, fitness, and nutrition-based programs and community events. Learn more here. Their Cultural Equity grant supports various arts and culture programs. Since 1938, St. John’s Church Foundation has preserved this historic property as a tangible connection to our founding fathers and as host to a defining moment in our nation’s history. Their mission is to spark a global appreciation for understanding the role that Patrick Henry's "Liberty or Death" speech had in setting America on its path to liberty, and to ignite the public's commitment for preserving the historic site where it happened.. Learn more here. Their Building Capabilities grant supports a new Part-Time Group Tour Coordinator position. Stavna Ballet is a Richmond-based professional dance company founded in 2010. Their mission is to captivate, enrich and inspire our community and audience through breathtaking artistry that explores the fusion of contemporary movement and the grace of classical ballet. Learn more here. Their Cultural Equity grant supports dance programming for Richmond's East End. With a mission is to connect individuals with disabilities to information, culture and community using technology and the human voice, Virginia Voice gives individuals with vision impairments the audio access they need using the power and sensitivity of the human voice. It is this human voice aspect that makes their service unique and more than just audio reading or description, but a real human connection. Learn more here. Their Cultural Equity grant supports the Live Audio Description Program for performing arts.